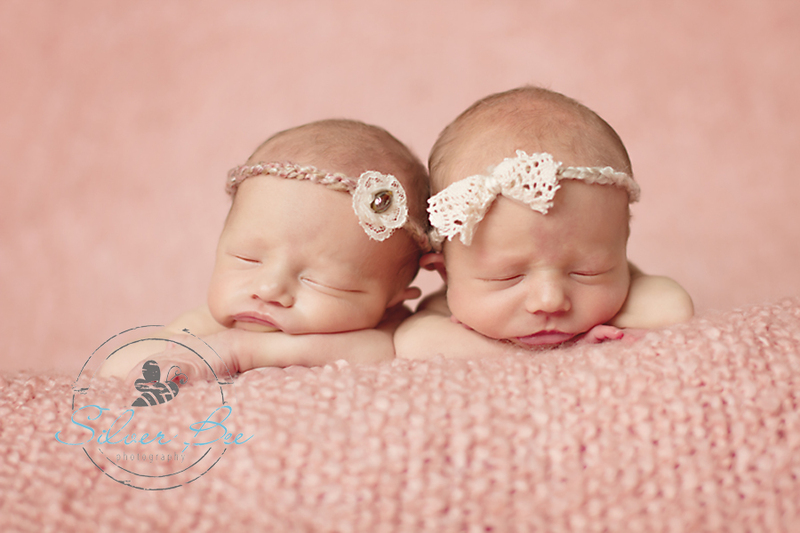 Oh lordy, are these sweet little identical twin newborn girls so cute or what? They came to see me when they were fourteen days old and they did just perfect for all the posing! The smaller of the two was a little more vocal with her grunts but it’s as if she was just talking in her sleep. She knew I was there but didn’t seem to mind. I think I had to ask a bazillion times who was who, everything down to the little tiny red spots seemed identical to me. I love having newborn baby girls in the studio so I can get my girly on. 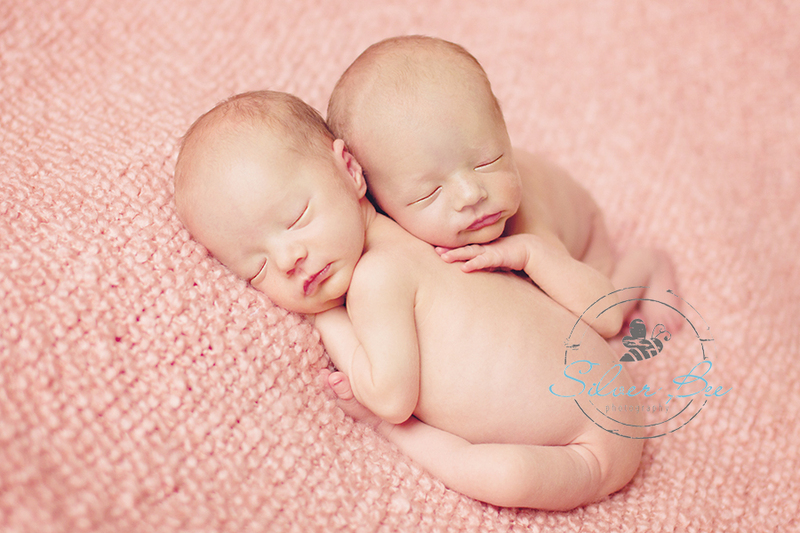 These two had the perfect skin tone for pinks and yellows and they are picture perfect! They just snuggled right up with each other and it is amazing how they just calm one another when they are nice and close. They could have stayed like this all day if I didn’t have other plans for them. The bigger of the two (bigger as in a couple of ounces) was a perfect support for her twin sister. This pink blanket was such a sweet fit for these two. Gotta love all the little piggies! I can never get enough of all the little toes and how they curl up into just the right spot. These two were piled on top of each other but again, didn’t seem to mind. We painted one tiny little toe nail to help identify and it was so cute I decided to leave it on her little toe. Next thing you know we will have baby pedi’s right here in the studio! These two were such good eaters too! For twins that isn’t always the case. We took a break and filled the tummy’s up and then they were ready to go again. A few grunts here and there and they snuggled in again. Their mama asked to put the white headband on this particular baby because that helps them identify her from her sister. If you are expecting twins or multiples, we have perfect setups for them and safety is always first priority! Contact us for additional info. Or View more of my work!